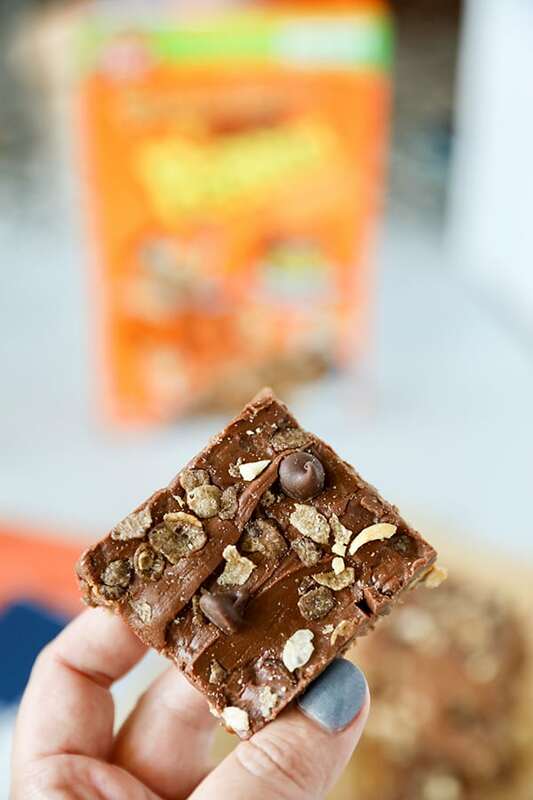 These Peanut Butter & Cocoa PEBBLES No Bake Fudge Bars are so easy to make and the perfect combination of peanut butter and chocolate! 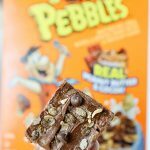 Pebbles has a brand new flavor, Peanut Butter and Cocoa Pebbles. You just know these are going to be good when you open the box and smell the delicious combination of peanut butter and cocoa! 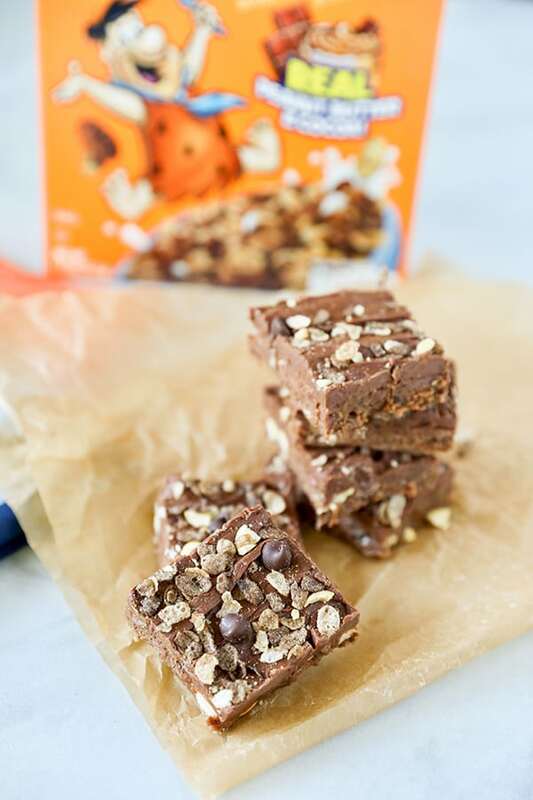 I used the Peanut Butter and Cocoa Pebbles to make these tasty little no bake fudge bars. Butter, chocolate, marshmallows and peanut butter are melted and combined with Pebbles and whole peanuts. 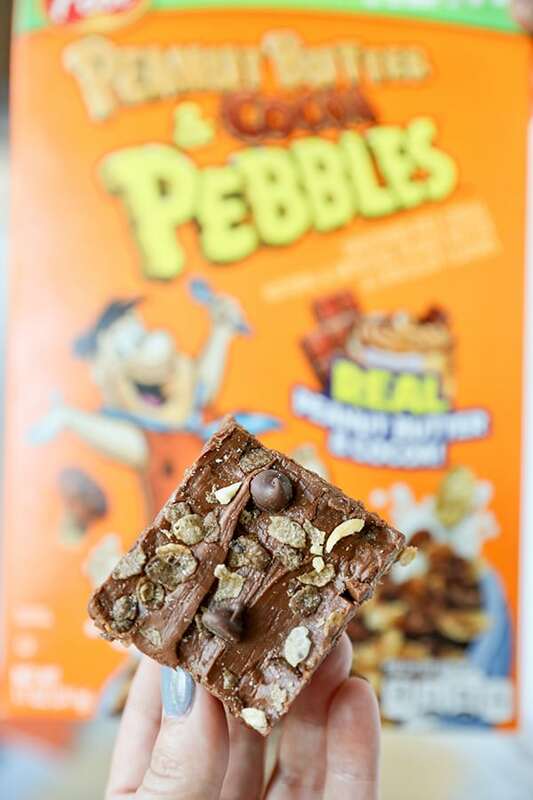 Then, they are topped with a homemade chocolate frosting and sprinkled with additional Peanut Butter and Cocoa Pebbles, crushed peanuts and chocolate chips. Once the bars have been refrigerated for a couple hours, they are ready to serve. Spray a 9x13 baking dish with non stick cooking spray. In a large microwave safe bowl, heat marshmallows, peanut butter, chocolate chips and butter on high in microwave for one minute. Stir ingredients and microwave for another 30 seconds. Once ingredients start to melt, stir in cereal, peanuts and salt. Transfer mixture to baking dish and set aside to cool. Prepare frosting by melting chocolate chips, butter and milk in a medium sized microwavable bowl, in microwave on high for one minute. Stir together until smooth and transfer to bowl of a stand mixer. Using a paddle attachment, beat in two cups of powdered sugar. 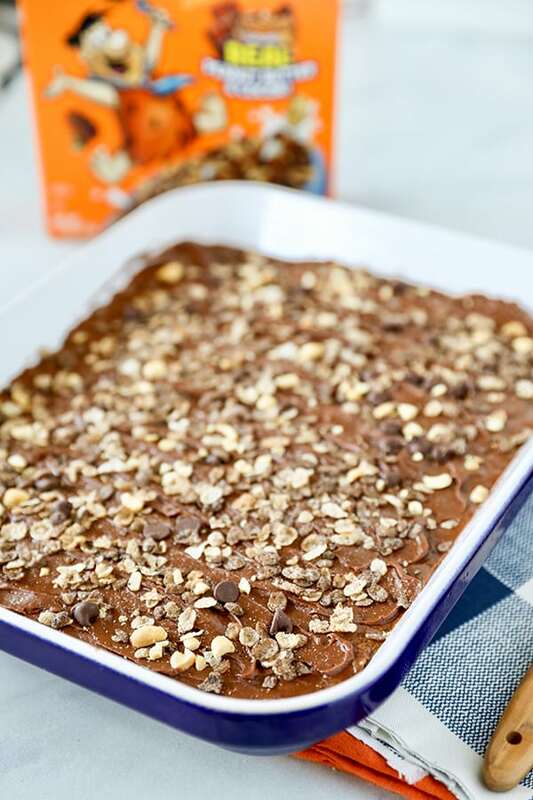 Top fudge mixture with frosting and sprinkle with additional Peanut Butter and Cocoa Pebbles, peanuts and chocolate chips. Press gently into frosting. 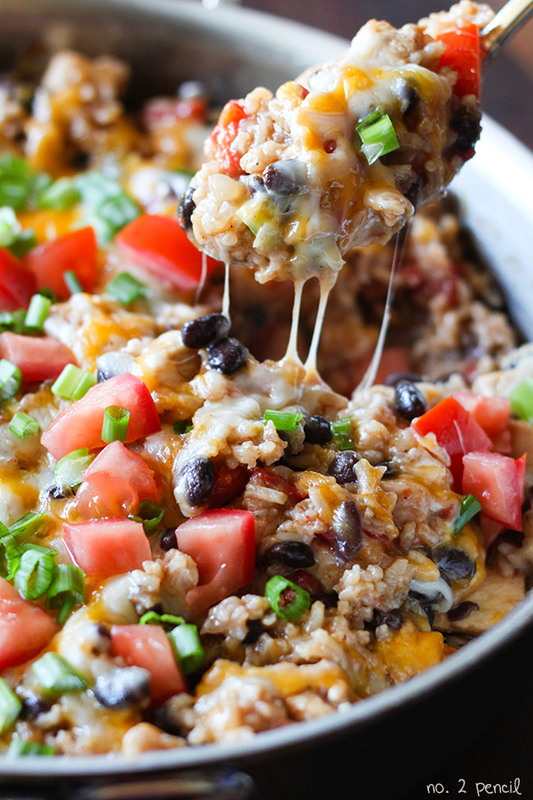 Refrigerate for at least two hours before cutting and serving.